In many British Columbia communities diverse actors have long fought to protect their ecological treasures. Their struggles have played a part in preventing the degradation of vast expanses of land: about 14 million hectares (14.4 per cent) of the land base in British Columbia have been protected since 1911 (BC Parks, 2015). Two recent publications tell of this continuing struggle in the forests of British Columbia. In A Natural Selection: Building a Conservation Community on Sidney Island, economist and forester Peter Pearse outlines how the residents of Sidney Island, in the Salish Sea opposite the Saanich Peninsula, created a community-based strata corporation to found and manage the island’s Sallas Forest. The aim, largely achieved, was to balance resource use and ecological conservation, but there have been significant ups and downs over forty years. Pearse’s personal account of the creation of a community forest sheds light on some of the issues and challenges faced in the early stages of community forestry work in British Columbia, in the process providing lessons that apply more broadly. In Big Trees Saved and Other Feats: The Story of the Shuswap Environmental Action Society, author and environmentalist Deanna Kawatski, whose roots in the Shuswap Bioregion go back a century, sketches the history of the Shuswap Environmental Action Society (SEAS) and outlines its challenges and successes over more than two decades. Kawatski documents efforts to protect large stretches of the Shuswap region, which is within the traditional territory of the Secwepemc people, and relies on a number of sources including newsletters, photos, figures, cartoons, posters, and activists’ fervent speeches. British Columbia’s “War in the Woods” saw community groups challenging the state and corporate stakeholders to bring about reforms in forest management (Salazar and Alper 2000), and Kawatski traces how political shifts and economic fluctuations have affected the environmental movement and groups like SEAS since then, especially given recent funding cuts for scientific programs in Canada (e.g. Sisler 2014). By identifying key challenges and successes, this socio-ecological and political history of the Shuswap will serve as a roadmap for future environmental activism, both in the region and more widely. Pearse and Kawatski explain how changing principles and practices of forest governance, management, and conservation have been applied in these coastal and interior settings, and together they offer an overview of key issues surrounding community involvement in forest conservation. British Columbia has been a global leader in community forestry initiatives as an alternative to state control, a move that, as McCarthy (2006) argues, represents a wider shift in the role of non-state actors in environmental governance. This has resulted, in stark contrast to forest policy in the United States, in progressive changes in land tenures in British Columbia. Pearse and Kawatski support the work of McCarthy and others writing of these shifts. Readers could enrich their reading of these two texts in conjunction with critical texts written about the Community Forest Agreement Program (CFAP), inaugurated in BC 1998 (e.g., Duinker et al. 1994; Bradshaw 2003). Though their approaches differ, both Pearse and Kawatski demonstrate the interconnections between environmental work and activism, both of which involve a collective and collaborative effort among a range of NGOs, all levels of government, First Nations, industry, schools, children, artists, musicians, and many exceptionally hard-working individuals. These books offer accessible and practical insights into the ways in which struggles to protect natural environments in British Columbia have intersected with a myriad of other initiatives. Regrettably, neither book delves into how decolonization efforts may soon affect land use and governance in their respective regions. Understanding this will be essential as government-to-government and treaty negotiations unfold in practice and as new legal precedents arise surrounding Aboriginal Rights and Title (e.g. Tsilhqot’in Nation v. British Columbia, Supreme Court Judgments, 2014-06-26). With the large-scale implementation of Ecosystem Based Management (EBM) in the Great Bear Rainforest, historical accounts of the integration of conservation and resource management efforts will be helpful to all those trying to make sense of this new political-economic territory. These works also reveal a disappointing subtext of anthropocentrism, in that the preservation of wilderness spaces is seen as largely for the benefit and enjoyment of people to maintain “viewscapes” or to preserve wildlife areas for human provisioning, recreation, or hunting. This reflects a common tendency in environmental literature to overlook the agency and importance of more-than-human actors and communities. Pearse and Kawatski’s anecdotal histories might fruitfully be read alongside the work of scholars who explore this aspect of environmentalism, for instance Bruce Braun, Sarah Whatmore, Steve Hinchliffe, and John Cianchi. Overall, Kawatski and Pearse use vastly different approaches to present their narratives. Having sifted through twenty-five years of files and records, Kawatski presents an incredible amount of detail chronologically in just over a hundred pages. Pearse — while offering a tantalizing account of conserving and developing, sometimes in tandem, Sidney Island’s lands — left me wishing for more detail about the lived reality of that undertaking, information I might be able to transfer to the context of similar efforts in my own community of Denman Island. Nonetheless, Pearse and Kawatski make visible the diversity of actors involved in British Columbia’s environmental movement and, in their accounts of community conservation, celebrate the names and faces behind some critical moments and campaigns. Together, they reveal the richness of this history and the personal commitment of impassioned people to protect the places they love. They are to be commended for their success in balancing factual reporting with specific and engaging stories. 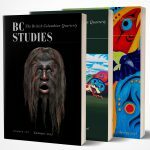 We need more books like these to build a locally and deeply rooted anthology of the socio-ecological history of British Columbia. Bradshaw, Ben. 2003. “Questioning the Credibility and Capacity of Community-based Resource Management.” The Canadian Geographer 47 (2): 137–50. Duinker, Peter N., Patrick W. Matakala, Florence Chege, and Luc Bouthillier. 1994. “Community Forests in Canada: An Overview.” Forestry Chronicle 70 (6): 711–20. McCarthy, James. 2006. “Neoliberalism and the Politics of Alternatives: Community Forestry in British Columbia and the United States.” Annals of the Association of American Geographers 96 (1): 84-104. Salazar, Debra, and Donald K. Alper (eds.) 2000. Sustaining the Forests of the Pacific Coast: Forging Truces in the War in the Woods. Vancouver, UBC Press. Sisler, Julia. 2014. “Research Cutbacks by Government Alarm Scientists: Federal Government has Dismissed more than 2,000 Scientists in past 5 years.” Jan 10, 2014. CBC News (Online) Available at: http://www.cbc.ca/news/technology/research-cutbacks-by-government-alarm-…, Last accessed 15 September 2015.